Ever wanted to meet the people behind the AIM imag that you all love and share? Well, here is a great opportunity to meet some of AIM's members this coming weekend. '2013 About.com Readers Choice Awards'. Here at AIM, we are delighted to share this news with you and I'm sure that you'll agree that the 'Little Acorn's School Kit' by the wonderfully talented Bea and Tony is fabulous. If you would like to vote for this delightful kit or any of the other kits in the category, you can do so by visiting the link below. As in previous years you are able to vote once per category of awards, per 24 hour day, until the voting ends on March 19th, 2013 ...So basically you can vote once a day, per category! Sadie from Homewardflight would like to introduce her new website. 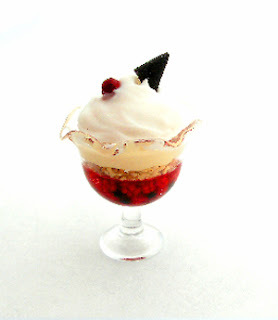 Filled with many amazing, mouth watering miniature food, a visit to Sadie's website is a treat.